At Ceno, we believe in combining fine food and drink with a warm and relaxing atmosphere, to create a contemporary environment you will want to return to time and time again. At Ceno we always use the freshest of ingredients sourced from local suppliers. We cater for all dietary requirements, please feel free to ask! 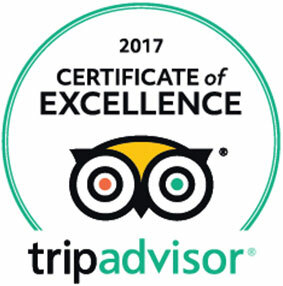 We are incredibly proud to say that we are Certificate of Excellence winners for the third year running on Trip Advisor for 2017, and would like to say a huge thank you to those of you that have reviewed us over the years! We are always on the look out for bright sparks to add to our fantastic team of staff here at Ceno (even if none are listed below). If you think you have something to offer, please email us your enquiry in the first instance, clearly stating the role you are interested in and any previous experience. We are currently on the look-out for dedicated, enthusiastic team members to join our front of house brigade, and currently have vacancies for both bar and restaurant. We are ideally seeking candidates with previous restaurant experience, although it is more important to us that you are passionate about food, wine and doing everything you can to exceed our guests expectations. Full training is provided for new team members, we only ask that you take pride in your job and enjoy customer service! The position pays hourly, and all team members receive a share of tips based on hours worked, as well as meals on duty depending on length of shift. Want to book a table? Have a question for us? Give us a call or drop us an email and we will get back to you as soon as we can.